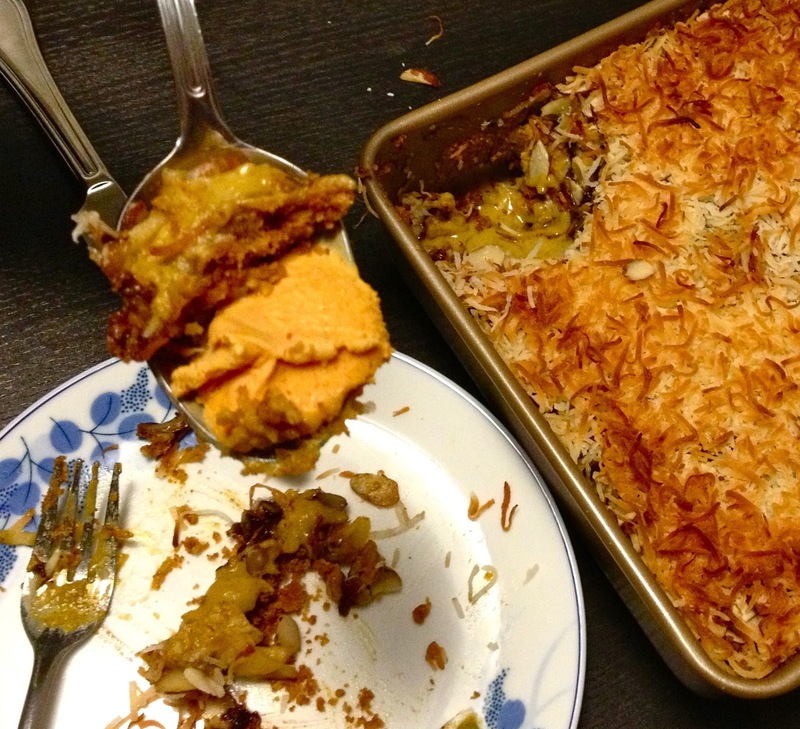 This past weekend my friends and I had a baking+study date. Best idea ever! We popped the bars in the oven, stuck our noses in our books & while they were baking the house smelled like fall-goodness! :) Can you think of a better way to study? 11 oz shredded golden delicious apples -- we used a peeler and chopped the pieces to shreds, but you can use a large cheese grater if you have one handy. Preheat the oven to 350F. 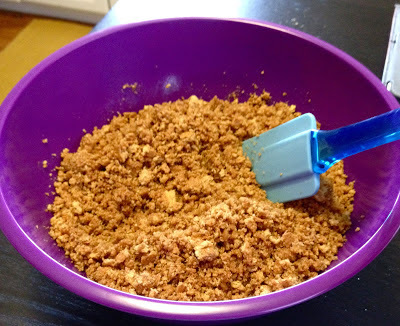 Pour melted butter over the crushed graham crackers and stir until well blended. Pour mixture to the bottom of a non-stick 8x8 pan (or lightly grease the pan before) and press mixture onto bottom of the pan with your hands or a spatula. 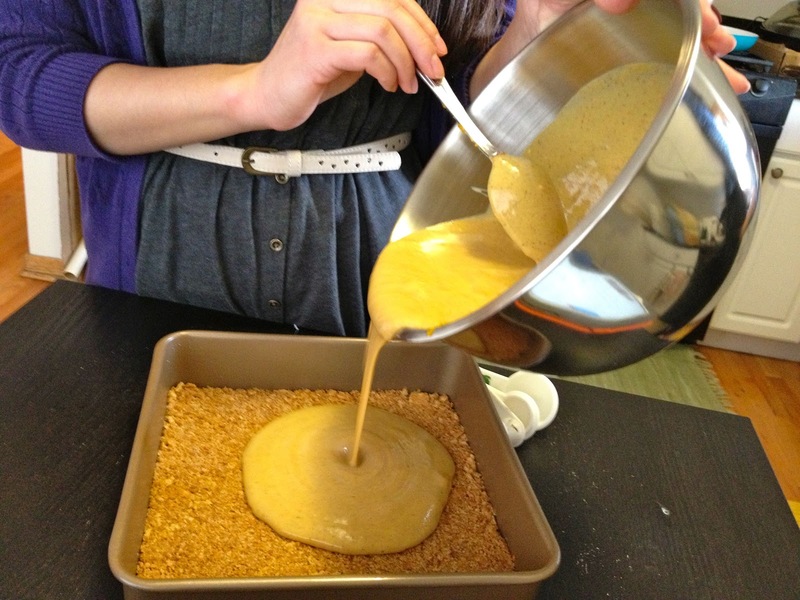 In a separate bowl, combine sweetened condensed milk, pumpkin puree, cinnamon, nutmeg and cloves together. Stir until well blended. 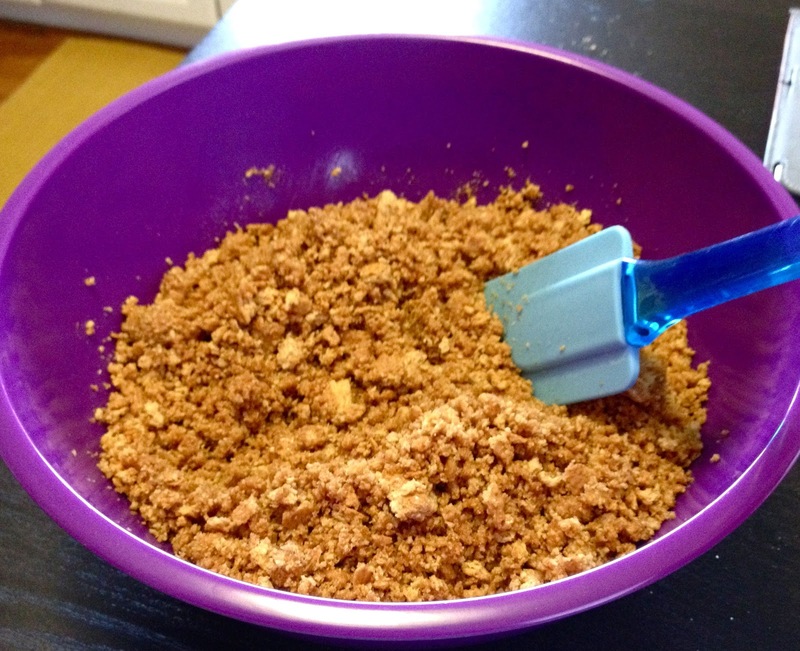 Pour most of the mixture over graham cracker crust and save enough of the mixture to add an extra thin layer later. 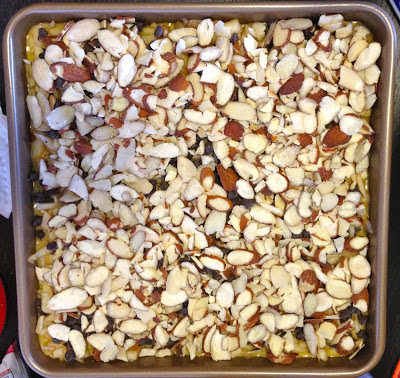 Begin the layering process by sprinkling half of the almonds and half of the shredded coconut over the pumpkin mixture. 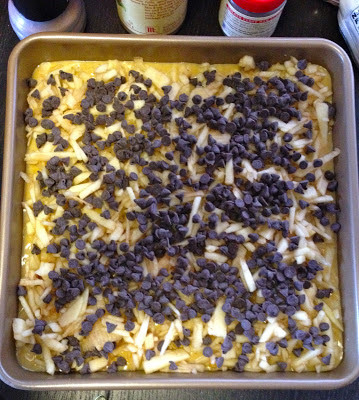 Then sprinkle all of the shredded apples and all the chocolate chips. 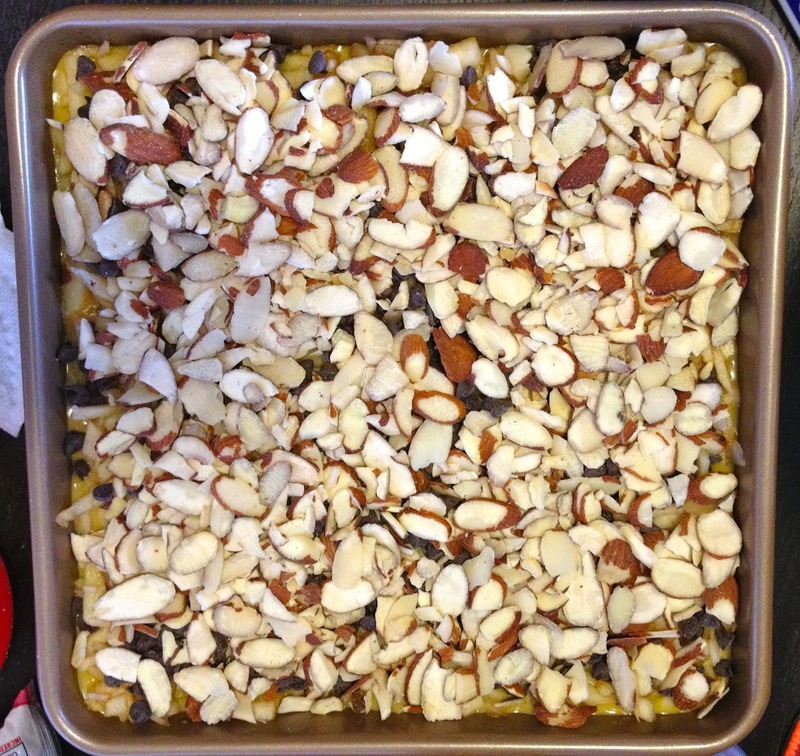 Add the rest of the pumpkin mixture, followed by the rest of the almonds and shredded coconut. Lightly press the layers down to ensure that they adhere. Bake for 35-45 minutes. 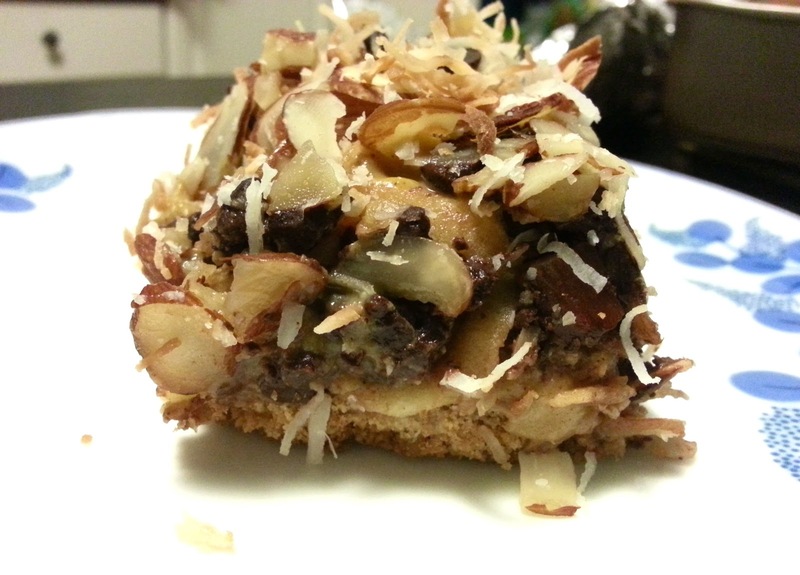 Be sure to check the bars towards the end of the baking time. 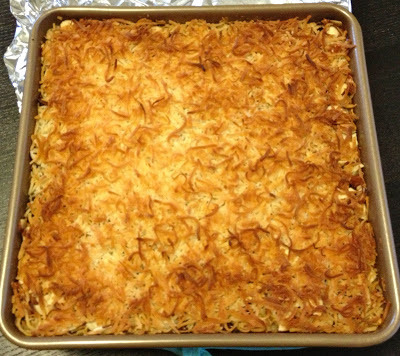 If the coconut begins to look too toasty, cover the pan with foil to ensure that they do not burn. 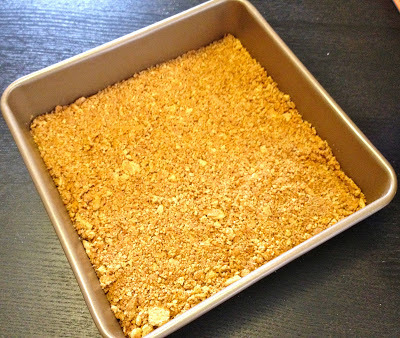 Remove the bars from the oven, let it cool completely at room temperature and then transfer the pan to the refrigerator to chill before you cut the bars. Enjoy your fall treat! 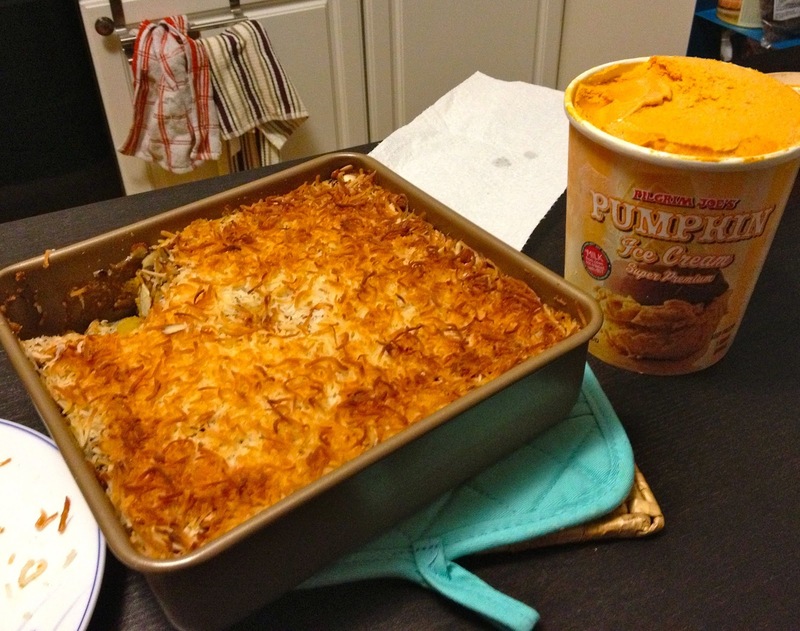 We couldn't wait to taste the fall-goodness while it cooled at room temp, so we snuck a teeny piece while it was still warm and ate it with pumpkin ice cream!! YUMMY. 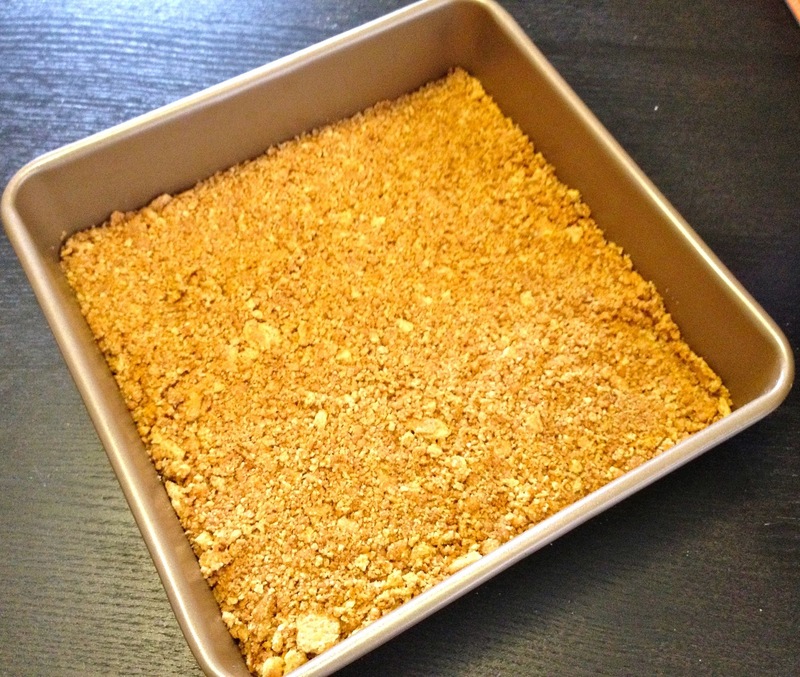 Please comment & let me know if you tried this recipe and if you have any suggestions/questions! Yum this looks absolutely amazing! PS. I'm a big fan of your blog! Your outfits are always amazing! Holy Moly this looks incredible! Thank you for the recipe!